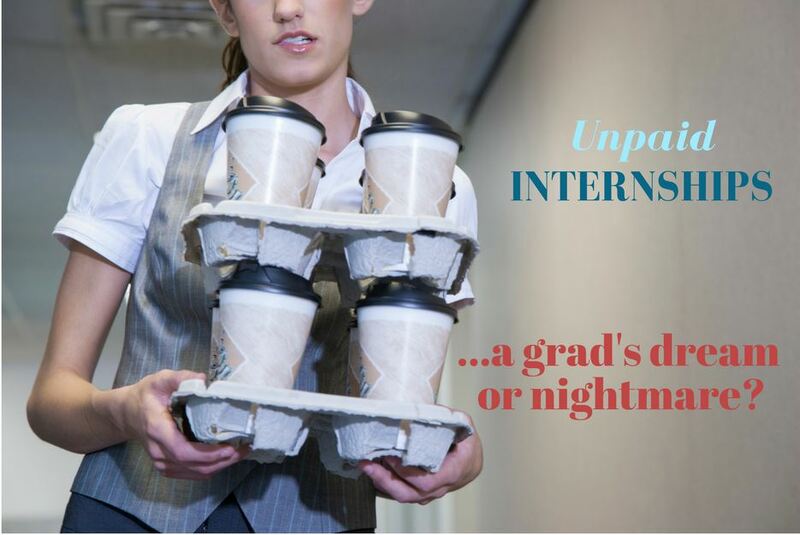 Unpaid Internships: A Graduate's Dream... or a Nightmare? It’s the ultimate catch-22: in order to get a job after graduation, you’ll need experience. In order to get experience? Well, you need a job. The solution for many students is to look for intern experience, which can be made to fit in around a demanding college schedule. This might mean working through summer or winter breaks, even for several years. But it’s definitely worth it in the end, to gain the variety of exposure needed in a competitive job market… right? Employers do demand that graduate applicants have more on their resume than a strong GPA, but the truth is, not all internships are made equal. You have to be clear on what experience you will get from the work being offered. Especially when it comes to internships that don’t offer any remuneration, check the small print very closely. As expected, there are quite a few reasons to turn down a non-paying job, even beyond the hit to your bank account. Not all students can afford to work without pay. 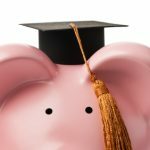 This is especially true if money is tight and you don’t want to rack up more student loam debt. In that case, working over the winter and summer breaks — which add up to several months — is a great way to put some cash in the bank. Turning down these periods of money-earning opportunity in favor of working for free is a difficult decision for many. This leads to the accusation that the entire concept is elitist. A further challenge to the concept of unpaid internships is that employing students for free effectively reduces the number of paid jobs being offered on the market. Unethical companies may even take advantage of the situation. They could effectively bring down their overheads by taking on more free workers, without even having the intention of offering permanent positions at the end of the internship program. As long as people seek to trade their time for experience, these questionable companies have no incentive to change their practices, either. Finally, among the high-level challenges to the concept of unpaid internships is the issue that they might fall afoul of the law. In regions where there is minimum wage legislation, employers have to pay careful attention to the way intern programs are structured. That way, they can ensure that they are in line with the rules. Though there are many reasons to avoid taking on an unpaid internship, there are also plenty of reasons to consider one. Getting paid for your internship is the optimal outcome. However, don’t forget that there are a huge number of non-financial benefits to be had from an internship, too. Certainly, you will gain great skills and experience. You could get access to training which others may only be able to access for a fee. You get to meet people working in the field you’re interested in moving into and can begin building an enviable network. And in the case of many unpaid or voluntary internships, you might also be offered other benefits which are not direct pay. These could include free food, lodging, or even travel. In the US and most of Europe, graduate recruiters want to see that their candidates have had hands-on experience of some sort. Over 30% of recruiters who took part in the High Fliers 2017 research (a look into the UK graduate market) said that those who had no previous work experience at all were unlikely to be selected for their organizations’ graduate programs. That unpaid internship might mean you have to turn down a few weeks of minimum wage work elsewhere, but it might be enough to get your foot in the door in your dream job. An internship doesn’t just look good on your resume, though. You might even be able to convert it directly into a job offer at the same employer. According to NACE, in 2016, 72.7% of people who completed an internship were subsequently offered a position with that company upon graduation. That’s pretty compelling! Of course, keep in mind that there are always variations in stats (and other reports have shown that unpaid internships are significantly less likely to convert to job offers than paid intern opportunities). If you have been offered an unpaid internship, it’s worth taking a long, hard look. However, don’t dismiss it off the bat. Each situation is unique, and in some hyper-competitive fields — such as fashion or journalism — unpaid internships are absolutely the norm. Really evaluate the opportunity at hand and ask how you can make the experience pay back for you… even if there’s no cash in the offer. Be clear what you can get out of the opportunity. Think through how the internship can work for you. Ask the manager what support is offered, including on-the-job training and professional development in both ‘hard’ and ‘soft’ skills. Build your contact book, and ask for help. Any internship, paid or unpaid, is a golden chance to build your network. With so many jobs being filled before they’re even advertised, who you know might be the key to getting your perfect job. Record your achievements and build your resume. If you’re writing your first resume, you need to really sell your skills and experience. Write down what you do as you do it, and you will also find it much easier to articulate your achievements in an interview later. Develop your soft skills, in addition to gaining business experience. Use this chance to push yourself a bit on ‘soft’ skills. Volunteer to lead a project. Make proposals for changes that might improve the business. Ask others for feedback as you go. These are all things which feel uncomfortable, but which will be expected of you throughout your future career. Find a mentor, and develop an ongoing relationship. Ask your boss if he or she would consider mentoring you after the internship has ended. If you don’t hit it off with your direct manager, think about who else might play that role and would also retain a real interest in your progress after you return to school. Use the opportunities for reflection. There’s a chance you will hate some, or all, of your internship (whether paid or unpaid). Think carefully about what worked for you and what did not — the boost in self-awareness will serve you well. Unpaid internships are controversial. On one hand, they offer invaluable experience to students in a competitive job market. Having one on your resume can really make the difference between getting that next interview or not. On the other hand, unscrupulous employers might use unpaid internships to simply avoid offering paid roles. This results in no benefit to the student and reduces the number of paying jobs out there. If you’re considering taking an unpaid internship, proceed with your eyes open to the risks. Use these ideas as a starting point to make sure you get the most from the experience. Think about what you want to gain from the internship and be prepared to negotiate a little — with the right approach, even an unpaid opportunity can really give you a great return on your investment! Have you ever worked for free, in exchange for the experience? How did it benefit you and the career path that followed? Don’t go for it, since I started working I have seen conditions and wages get worse not better for workers. If an employer can get by without paying you, he will. I remember when employers had to pay real overtime wages, now they try to weasel out of it and offer people time instead. I remember when they couldn’t coerce people into working holidays like thanksgiving and Christmas, they had to offer double time for that, now they just threaten the workers jobs.